Early morning is my favourite time. I love to sit outside on my patio listening to the cardinals sing as they build a nest in our lilac bush. 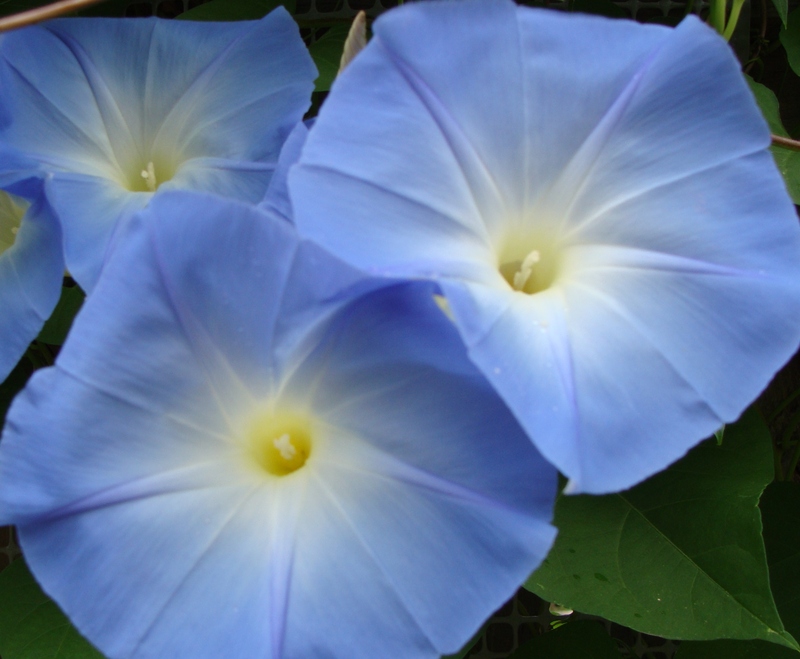 I enjoy smelling the freshness in the air, and marvelling in the creation of the brilliant heavenly blue morning glories climbing my fence. It’s almost like they smile at me with their huge faces. I smile back. When I look at them, I see one thing. Joy. But joy wasn’t always there. Many mornings I didn’t feel like smiling. Inside, I was wilting like a flower without water. Happiness was zapped out of me after my husband left. I wondered if I would ever get it back. Anger crept in and took me to a place of bitterness. I was mad at my spouse for leaving, and yes, even at God for allowing it to happen. But, did I stay there? I knew even though God allowed this journey to happen in my life, He knew the bigger picture. He wanted me to trust, so I slowly left my anger at the foot of the cross. I began to choose joy and forgiveness. Did it happen easily? Of course not. It was a difficult journey. A few steps forward, many steps back. I worked through the anger, confusion, and defeat with the help of a counsellor, family, friends, and many prayers. I chose to forgive my husband because I did not want the bitterness to consume my life. No one likes to be around someone filled with resentment. We avoid it at all costs. And doesn’t God command us to forgive? Yes, seventy times seven. Months later, I met with my spouse to sign the divorce papers. I felt surprisingly calm. The bitterness was gone and I knew it was time to move on. So I did. Joy came in the morning, and brought back my smile. Bitterness can consume our lives so easily. We must learn to recognize it, forgive, and then move on. When we do, God will give us a peace and joy we never thought possible. You are such a JOY Aunt Darlene. LOVED this piece.